To place an order for pick up, call 416-342-1906 or Order Online. 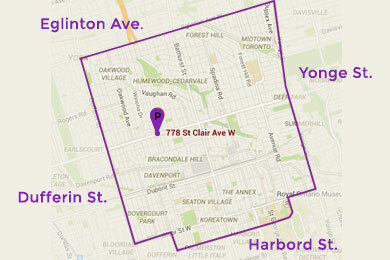 To place a delivery order, check our delivery zone, call 416-342-1906 or Order Online. To place a delivery order that is out of our delivery zone, please call us, we are happy to offer alternative arrangements when possible. Delivery available from 5pm - 9:00pm, 7 days a week. $40 minimum, pre-tax.